We are now able to offer our customers the technology to enjoy their “Memories On Video” on Blu-ray disk burnt at 1920x1080, as well as (of course) on DVD disk. The quality of image and sound on our Blu-ray disks is identical to that on our DVD disks. Please do NOT assume that Blu-ray provides an improved quality. The quality is, in our opinion, on both DVD and Blu-ray, the very best achieveable from the materials which you submit, whether they are cine films, VHS or Betamax videos or Camcorder tape recordings. None of those were recorded in HD originally – how could they be? The technology did not exist when the recordings were made………whatever is claimed by others who appear to offer services similar to ours, these old materials can never be ‘full HD’. You will see elsewhere in my website, that I explain that manufacturers claim that modern DVD players ‘upscale’ DVDs to FULL HD. 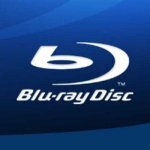 Please note CAREFULLY that Blu-ray disks require a Blu-ray player! They will NOT play on an ordinary DVD player. There have been compatibility issues, where occasionally a Blu-Ray player will not play disks made by any provider other than the mainstream feature film producers. In fact, the top technology boffins at ‘Adobe’ have openly declared that it will never be the case that small producers will be able to produce Blu-Ray or 4K disks in future, which will be universally compatible with all manufacturers’ players. Thus, I would strongly recommend that unless your original material is actually recorded in HD ………and that means on camera cards (SD cards or similar) in modern devices, such as HD or 4K camera phones or stand alone HD/4K cameras/camcorders, then to have us produce a Blu-ray disk is un-necessary, there is no benefit whatsoever, over an ordinary DVD recording. Please add £10 per disk to our list prices for the various conversions described in this website, to receive your job on Blu-ray (however long the programme – up to 4 hours maximum). We also provide a DVD disk with every Blu-ray disk – no extra charge. You will see a provision on the order form for you to enter your Blu-ray requirements. Please PHONE 01454 772857 if you require help with this, or any other aspect of our service.